Encourage strong nail growth with this 2-in-1 cuticle treatment. 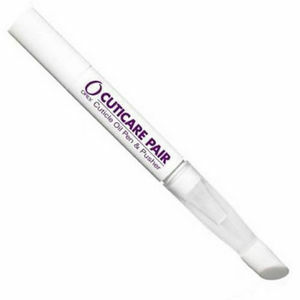 The Orly Cuticare Pair Pen and Pusher is a great tool for client nail health and growth. Simply brush on oil, then push back cuticles with rubber tip. It's a totally portable 2-step procedure that is a no-mess, hassle-free treatment.